Choosing a neighborhood you live in is almost as important as the house you buy. The right neighborhood can make your house feel even more like a home. But how do you find the right neighborhood to shop for your next home? The first step in finding the right neighborhood is to figure out what you’re really looking for. Do you crave a sense of community, or do you prefer not seeing any other houses when you open your front door? Knowing yourself is the key to identifying what kind of neighborhood you’ll be most happy in. 2. Are There Children In The Picture? If you have kids now or are planning to have some in the future, that will impact your choice of neighborhoods. You’ll want your children to have neighborhood friends. You’ll also want to know your kids are safe playing outside. Look for neighborhoods where families reside. Ask your real estate agent about the quality of local schools. 3. Would You Prefer A Single Family Home Or A Townhouse? Different neighborhoods have different housing types. You can often do a process of elimination by pre-determining what kind of home you’re looking for. This is something that your real estate agent can do for you. 4. What Will Your Commute Look Like? You’ll be going to work everyday. That will significantly impact your daily lifestyle. Pin your work address on a map. Then draw a ring around it that represents the distance you’re willing to commute. Neighborhoods within that circle will be candidates. 5. Are You Looking For Nightlife? If you want to be able to walk out your door and land at a cafe, bookstore, shopping center, bar or someplace else, then your neighborhood will need to reflect that desire. Avoid buying in an area where everything is a 20-minute drive. Your real estate agent will be able to apprise you of neighborhood culture so you’ll have a better idea of where to buy. Is your current neighborhood lacking something, such as bike trails, a park or community events? Seek these out when you go home shopping so your life feels more complete when you move. 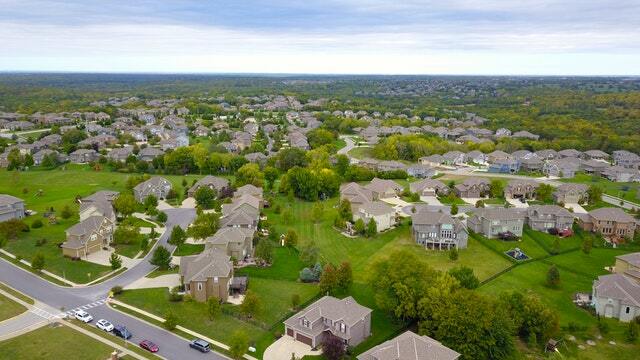 These six tips will help you find the best neighborhood for the way you want to live. Remember, your real estate agent is knowledgeable about the various neighborhoods in their service area. Use your agent as a valuable resource while you search for that perfect home.